Shortly after Commerce arrived on the Internet, it was joined by the Lawyers. Like it or not, the Law has found the Internet and is attempting to regulate and control one of the biggest clockwork oranges of the modern Age. Although we at Moore Coffee & Tea doubt that any of this is truly necessary, we are putting it up anyway. Just in case. Adobe, the Adobe logo, Acrobat, and ImageReady are trademarks of Adobe Systems Incorporated, Illustrator and Photoshop are registered trademarks of Adobe Systems Inc.; American Express® and the American Express Box Logo® are registered trademarks of American Express Company, its subsidiaries and affiliates; the Apple® logo and Macintosh®, are registered trademarks of Apple Computer, Inc., registered in the U.S.A. and other countries; Debabelizer® is a registered trademark of Equilibrium; MASTERCARD® and the MasterCard Logo are registered trademarks of MasterCard International Incorporated or its subsidiaries in the United States; Netscape, Netscape Navigator, and the Netscape N and Ship’s Wheel logos are registered trademarks of Netscape Communications Corporation in the United States and other countries; VISA® and the Three Bands Design Mark are registered trademarks of Visa in the United States and other countries. Powells.com, Powells.com graphics, logos and service names are © 1994 – 2000 Powells.com All other product and company names mentioned herein may be the trademarks of their respective owners. MOORE COFFEE & TEA welcomes your comments regarding our merchandise and services, including our website. However, any notes, ideas, suggestions, or other material which you submit to MOORE COFFEE & TEA will become property of MOORE COFFEE & TEA and MOORE COFFEE & TEA shall be entitled to use any kind and nature of material which you submit for any type of use forever including in any media whether now known or hereafter devised. When you submit material to MOORE COFFEE & TEA, you agree that MOORE COFFEE & TEA has the right to publish the material for any type of use, including for promotional and advertising purposes, without compensation to you of any kind. As a result, we must ask that you do not send us any original creative materials such as stories, product ideas, or original artwork. This site is controlled and operated by Moore Coffee & Tea from its offices within the State of California, United States of America. MOORE COFFEE & TEA makes no representation that materials in the site are appropriate or available for use in other locations. Those who choose to access this site from other locations do so on their own initiative and are responsible for compliance with local laws, if and to the extent local laws are applicable. With respect to shipments of merchandise to consumers, wherever they may reside, title to the merchandise shall pass to the buyer upon delivery of the merchandise to the common carrier. All prices displayed on the site are quoted in U.S. Dollars.  Although every effort is made to keep this website current and up-to-date, MOORE COFFEE & TEA reserves the right without prior notice to discontinue or change specifications on products and services offered on this site without incurring any obligations. MOORECOFFEE.COM includes links to other Internet sites maintained by third parties (“Linked Sites”) for your convenience and entertainment only. Neither MOORECOFFEE.COM, its parent company, nor its affiliates operate or control in any respect any information, products or services on Linked Sites which are not owned or controlled by an affiliate of MOORE COFFEE & TEA. You access them at your own risk. MOORECOFFEE.COM, whether or not it has a relationship with Linked Sites, is not responsible for the content on the Linked Sites and disclaims all liability for any injury you experience while you are in such Linked Site. MOORECOFFEE.COM has chosen to take advantage of the Powell’s Partners Program. In return for providing a link to powells.com and for recommending certain books, MOORE COFFEE & TEA receives between a percentage of sales made at powells.com, provided the customer came from MOORECOFFEE.COM. Customers who buy products through this Program will be deemed to be customers of powells.com. Accordingly, all powells.com rules, policies, and operating procedures concerning customer orders, customer service, and product sales will apply to those customers. MOORE COFFEE & TEA is deemed an independent contractor with powells.com, and does not have, nor will have any partnership, joint venture, agency, franchise, sales representative, or employment relationship with powells.com. MOORE COFFEE & TEA has no authority to make or accept any offers or representations on behalf of powells.com. For more information on the Powell’s Partners Program, please visit powells.com website. 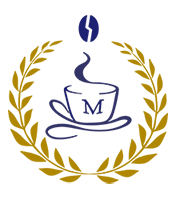 You agree to indemnify MOORE COFFEE & TEA, its officers, directors, employees, agents, distributors, vendors, and affiliates from and against any and all third party claims, demands, liabilities, costs or expenses, including reasonable attorneys’ fees, resulting from your breach of any of these terms and conditions. These terms are effective until terminated by either party. You may terminate these terms at any time by destroying all materials obtained from MOORECOFFEE.COM and all related documentation and all copies and installations thereof, whether made under these terms or otherwise. These terms will terminate immediately without notice from MOORE COFFEE & TEA if in MOORE COFFEE & TEA’s sole discretion you fail to comply with any term or provision of these terms. Upon termination, you must destroy all materials obtained from this site and any and all copies thereof, whether made under these terms or otherwise. THE MATERIALS IN THIS SITE ARE PROVIDED “AS IS” AND WITHOUT WARRANTIES OF ANY KIND EITHER EXPRESS OR IMPLIED. TO THE FULLEST EXTENT PERMISSIBLE PURSUANT TO APPLICABLE LAW, MOORE COFFEE & TEA DISCLAIMS ALL WARRANTIES, EXPRESS OR IMPLIED, INCLUDING, BUT NOT LIMITED TO, IMPLIED WARRANTIES OF MERCHANTABILITY AND FITNESS FOR A PARTICULAR PURPOSE. MOORE COFFEE & TEA DOES NOT WARRANT THAT THE FUNCTIONS CONTAINED IN THE MATERIALS WILL BE UNINTERRUPTED OR ERROR-FREE, THAT DEFECTS WILL BE CORRECTED, OR THAT THIS SITE OR THE SERVER THAT MAKES IT AVAILABLE ARE FREE OF VIRUSES OR OTHER HARMFUL COMPONENTS. MOORE COFFEE & TEA DOES NOT WARRANT OR MAKE ANY REPRESENTATIONS REGARDING THE USE OR THE RESULTS OF THE USE OF THE MATERIALS IN THIS SITE IN TERMS OF THEIR CORRECTNESS, ACCURACY, RELIABILITY, OR OTHERWISE. YOU (AND NOT MOORE COFFEE & TEA) ASSUME THE ENTIRE COST OF ALL NECESSARY SERVICING, REPAIR, OR CORRECTION. APPLICABLE LAW MAY NOT ALLOW THE EXCLUSION OF IMPLIED WARRANTIES, SO THE ABOVE EXCLUSION MAY NOT APPLY TO YOU. UNDER NO CIRCUMSTANCES, INCLUDING, BUT NOT LIMITED TO, NEGLIGENCE, SHALL MOORE COFFEE & TEA BE LIABLE FOR ANY SPECIAL OR CONSEQUENTIAL DAMAGES THAT RESULT FROM THE USE OF, OR THE INABILITY TO USE, THE MATERIALS IN THIS SITE, EVEN IF MOORE COFFEE & TEA OR A MOORE COFFEE & TEA AUTHORIZED REPRESENTATIVE HAS BEEN ADVISED OF THE POSSIBILITY OF SUCH DAMAGES. APPLICABLE LAW MAY NOT ALLOW THE LIMITATION OR EXCLUSION OF LIABILITY OR INCIDENTAL OR CONSEQUENTIAL DAMAGES, SO THE ABOVE LIMITATION OR EXCLUSION MAY NOT APPLY TO YOU. IN NO EVENT SHALL MOORE COFFEE & TEA’S TOTAL LIABILITY TO YOU FOR ALL DAMAGES, LOSSES, AND CAUSES OF ACTION (WHETHER IN CONTRACT, TORT (INCLUDING, BUT NOT LIMITED TO, NEGLIGENCE), OR OTHERWISE) EXCEED THE AMOUNT PAID BY YOU, IF ANY, FOR ACCESSING THIS SITE. These terms shall be governed by and construed in accordance with the laws of the State of California, without giving effect to any principles of conflicts of law. You agree that any action at law or in equity arising out of or relating to these terms shall be filed only in the state or federal courts located in Santa Barbara County and you hereby consent and submit to the personal jurisdiction of such courts for the purposes of litigating any such action. If any provision of these terms shall be found unlawful, void, or for any reason unenforceable, then that provision shall be deemed severable from these terms and shall not affect the validity and enforceability of any remaining provisions. This is the entire agreement between us relating to the subject matter herein and shall not be modified except in writing, signed by both parties.